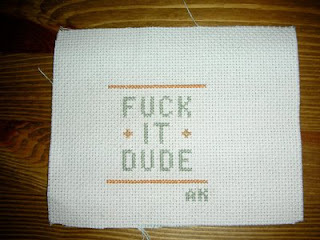 My room mate who i taught to cross stitch is getting very good! he used the pattern of the one i made for him and made this one. Now that's the kind of sentiment I can get behind.